There is plenty of excellent advice out there on the subject of blackjack strategy. However, the Web is also clogged with nonsensical garbage about how to beat the dealer every time and guarantee wins when playing 21. If you’ve ever bet on real money blackjack in a real life casino, chances are you have seen some awful tactics in action. But how do you distinguish the good from the bad? The team at Blackjack.com.au knows a thing or two about the dos and dont’s of 21 strategy. We’ll show you some of the cardinal sins of blackjack play and explain why you should avoid them. What makes a bad blackjack strategy? Anything that contravenes perfect strategy and raises the house edge will harm your chances of winning at blackjack. Expert gamblers and sharp card counters may deviate from convention in a few very specific situations, but sticking to the basic strategy chart is the best play 99.9 per cent of the time. The majority of bad strategies stem from myths and slogans spouted by people who don’t really understand gambling. Others are failed mathematical experiments which have been harnessed by conmen to exploit the weak and gullible. Some are simply honest mistakes made by inexperienced players (or greedy ones) who don’t know the numbers behind the game. So what are the most common and most costly misconceptions players have about the game of 21? Most blackjack players will have come across this old classic at one point or another. That’s because an alarming number of recreational punters and newbies take this tactic as gospel. In truth, however, this is one of the worst possible ways to approach a game of blackjack, as assuming the dealer’s second card is a 10 will force you to take unnecessary risks in an attempt to beat an imaginary total. For instance, basic strategy for a typical blackjack game says you should stand on 13 when the dealer shows a Six or less. If you assume the house will draw a 10, however, you would be inclined to hit. Let us put it another way. With correct strategy, an average casino blackjack game favours the dealer by around 0.60 per cent. When you play as though there is always a 10 in the hole, the house edge goes up by nearly 10 per cent. Many blackjack games come with optional proposition wagers where players can win bonus payouts if certain events occur within their hand. Some can be quite lucrative, offering bonus odds as high as 20,000 to 1. But there is a reason gambling gurus refer to all side wagers as sucker bets. We have yet to see a single one that doesn’t raise the house edge, let alone one that improves the player’s odds of success. Popular blackjack side bets such as 21+3 (3.2%), Perfect Pairs (5.8%) and Lucky Ladies (24.7%) should only ever be played for pure fun, and never as an everyday strategy. This includes the insurance wager – a 2 to 1 side bet on a dealer natural, as offered by many blackjack casinos when the house is showing an Ace. Taking insurance is no different to assuming to the dealer always has 10 up their sleeve, and it inflates the house edge by up to 7.5 per cent. 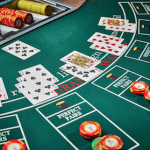 In some real money casino games, such as pai gow poker, it’s common practice to play your hand exactly as the dealer or banker is instructed to do. In blackjack, however, this is not a smart strategy at all. The biggest issue with mimicking the house way in 21 is that it eliminates splitting and doubling down from the equation entirely. This seriously harms a player’s ability to take advantage of favourable situations, especially in games where you can split Aces and/or double after splitting. If you follow the dealer, you’ll add as much as 5.1 per cent to the house edge. To those who are unfamiliar with the intricacies of blackjack probability, this might seem like a sensible ploy. By making sure you never exceed 21 points, you eliminate the possibility of busting out and give yourself a shot at winning in every hand. The problem is that would mean you wouldn’t hit any hard hand (i.e. a hand with no Ace, or where Ace can only count as one) of 12 points or higher. Given the dealer can score no less than 17 points, this severely limits a player’s winning opportunities. This is essentially the same concept as assuming a dealer 10, when you think about it, because the player is banking on the next card being a certain minimum value. If we assume basic strategy is employed in all situations except hard hands of 12 or more, the casino advantage rises by around 3.5 per cent. Whether it’s blackjack, roulette, the pokies, or any other casino game, there is always someone who claims to have discovered a secret method for beating the house. In actual fact, most of these guys are advertising bogus betting strategies. Why don’t these systems work? Because no matter how you adjust your stake from hand to hand, you can’t lower the house edge in blackjack. It just isn’t possible to turn a negative expectation game into a positive one, unless you outright cheat. Some of the better known blackjack betting systems can do much more harm than good. The most famous example is the Martingale strategy – a negative progression where you double your bet after each loss. With this method, you run the risk of hitting the table limit and draining your bankroll in the space of a few hands. So unless you want to turn a relatively player-friendly casino game into an extremely dangerous one, steer clear of progressive betting systems altogether. 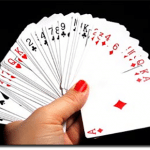 If you know how to count cards, online blackjack might seem like an easy revenue stream at first. You can play remotely and at your own pace, without fear of detection, all while enjoying a better house edge than you will find at land-based casinos. But there is one obvious reason why blackjack card counting tactics doesn’t work when you play real money 21 online. Digital casino games are powered by random number generators (RNGs) – complex algorithms which are programmed to produce entirely fair and unpredictable results from hand to hand. This means the shoe is fully shuffled after each round, so any attempts at counting cards are futile. What about live dealer blackjack games, you ask? They all feature a continuous shuffling machine (CSM), which is effectively the same as using a random number generator.